Randou appears in front of Yusuke and his intimidating presence starts to give Yusuke the creeps. Yusuke starts giving Randou a barrage of hard-hitting punches but it does not even make Randou budge. Then Randou counters with some death strands that bonds Yusuke as he becomes immobilized. Randou then hangs Yusuke from a lake, then with his powers summons some flesh-hunting killer sharks around Yusuke. Botan tries to convince Genkai to stop the matchup but Genkai does not give in, saying the show is not finished and they have a confrontation to finish. Then out of nowhere Randou points his finger into Yusuke and unleashes.... a rei gun! Randou imitates Yusuke's key attack and knocks the tree he is hanging in, as Yusuke falls down the lake with the killer sharks waiting. Yusuke have seemed to given up and was ready to die, when a flash of light suddenly comes out of Kuwabara, and scares the sharks off. Yusuke then gets into some dream sequence with Kuwabara.. giving him some moral support (or so), and with that, Yusuke regains his strength and breaks his bonds, kills off the sharks and shocks Randou off. Randou tries to nail Yusuke with his rei gun, but Yusuke blasts off from behind him and, using his full strength, he then unleashes the real REI GUN.. Randou counters with his own version but the real one is just too powerful it blows Randou off and destroys the lake with him. Yusuke goes down will all his strength used up and believing he just beat Randou. Just then Randou rises from the now destroyed lake and, now totally enraged, starts beating the hell out of the now unconscious Yusuke with a shower of attacks. Now Randou decides he should crush Yusuke just like what he did earlier to Kuwabara, and then starts uttering his dwarf invocation technique again. Expecting he was about to finish Yusuke off, something goes wrong... Randou was the one getting smaller! Now Randou turns into a peewee as Genkai explains that a wise person will just cover his ears upon hearing the invocation, and the technique will BACKFIRE and bring the caster down to mini-size. But Yusuke was unconscious and didn't cover his ears! Just then Yusuke regains his consciousness and realizes that.. he's got some DIRT stuck in his ears! and that was some hell of a lucky break. Randou decides to repeat the invocation technique again, but Yusuke gives him an enormous super-duper elbow drop (the size, remember?) and knocks Randou out of the game. Genkai heals Kuwabara back to his normal self as Yusuke rejoices over winning the competition. 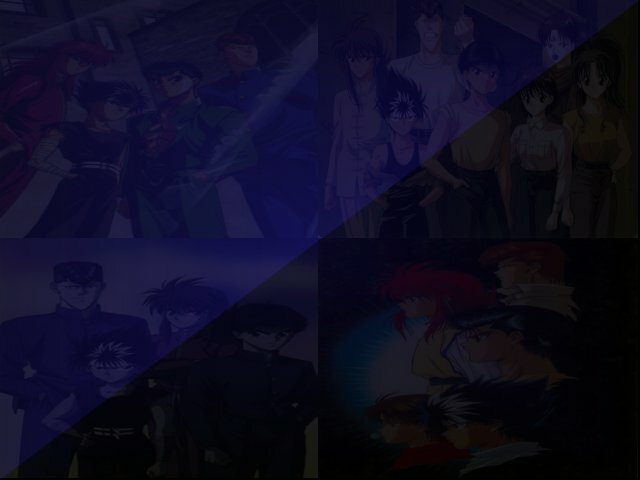 Now Yusuke can watch the rock concert he always wanted to watch since his missions over, but Genkai then tells him since he won the competition, her power must now be transferred to his, so Yusuke must train in her place to gain that power! With that Yusuke faints as the episode ends.